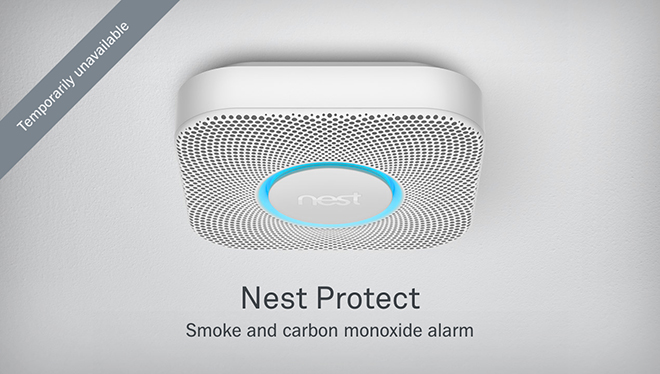 Google-owned smart home firm Nest announced on Thursday that it has suspended sales of the Protect Smoke + CO Alarm after discovering one of the product's built-in convenience features poses a potential safety risk. In a letter posted to Nest's website, cofounder and ex-Apple executive Tony Fadell said Protect's "Nest Wave" function, which turns the alarm off with a wave of the hand, may be unintentionally activated. If this were to happen, an alert could be delayed in the case of a real fire. We identified this problem ourselves and are not aware of any customers who have experienced this, but the fact that it could even potentially happen is extremely important to me and I want to address it immediately. Effective immediately, Nest Wave has been automatically deactivated on Protect units connected to the Internet via Wi-Fi. Owners are urged to turn on Protect's Wi-Fi function so their unit can receive the update. In addition, the company has halted all new Protect device sales while a resolution to the problem is sorted out. Nest is offering full refunds for new owners who do not have Wi-Fi connectivity to properly update the product. Fadell's Nest Labs was recently acquired by Google for $3.2 billion, though the Internet search giant said the smarthome product firm's operations would remain largely independent.